Heading into the final two matches of its five-game home stand, Chicago will look to sting the Rochester Yellowjackets (9–3, 1–0) and swoop past the Emory Eagles (8–4, 0–1). 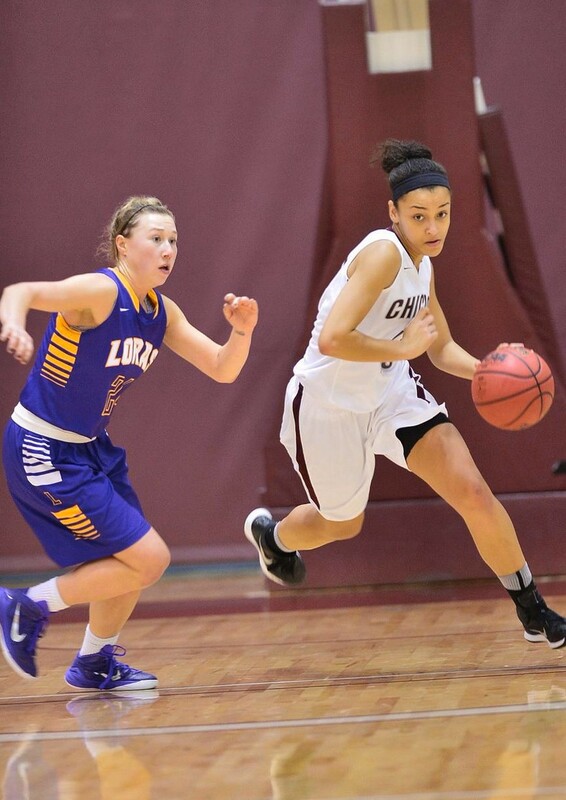 For the Maroons, the upcoming matchups will come against a backdrop of relative success. The South Siders have won five of their last seven games, with one of those losses coming at the hands of No.4 Wash U, by a score of 65–52. Chicago looks to translate these successes into two more victories. And the Maroons will have to come prepared to do just that against Rochester, with the Yellowjackets coming off of a 24-point win over Emory. In the midst of these conference games, there is a heightened sense of anticipation, focus, and excitement among the players. This is a chance to prove themselves amonga conference foes. Last year, it was Chicago who got the better of its opponent, beating Rochester twice in as many matches. This time around, the Yellowjackets will look for revenge while the Maroons look to continue their recent run of dominance. “In our game against Rochester we expect to come in prepared, play hard, and get a conference win,” said first-year Elizabeth Nye. For Chicago, the upcoming matchup will come with an added element. “Friday we play Rochester and it’s Neon Night which usually brings a pretty high-energy crowd, which is always fun and makes the game that much more exciting. We feel like we have a lot to prove after the Wash game and I know I speak for the team in saying we are really excited to get back out there and compete in another high intensity game,” Moore said. Two days after the Rochester game, Chicago will take on another one of its conference rivals, the Emory Eagles. A year ago, the teams split their two games, with Emory taking the first and Chicago stealing the second. Both were heated matchups. However, this year, the Eagles are being led by a formidable trio of captains: third-years Khadijah Sayyid and Ilene Tsao, as well as second-year Shellie Kaniut. Sayyid has been a menace on defense, Tsao a consistent scorer, and Kaniut providing all-around help across the floor. Chicago will have to key in on these three players if it expects to finish its home stretch with a win. The Rochester game tips off at 6 p.m. on Friday. The Emory match will start at 2 p.m. on Saturday. Both games will take place in Gerald Ratner Athletics Center’s gymnasium.